Providing you the best range of Industrial Conveyors such as Screw Conveyor and Belt Conveyer with effective & timely delivery. 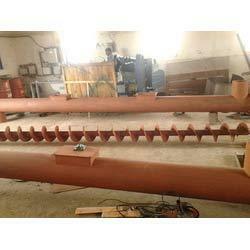 Screw Conveyors that are widely used in both horizontal and vertical applications for conveying variety of material. Available in several designs, colors, shapes and sizes, these conveyors are fabricated using premium raw material to ensure quality.